The rematch of one of the UFC’s greatest title fights takes place Saturday night however due to Jon Jones’ situation, the event is taking place at The Forum in Inglewood, California instead of T-Mobile Arena in Las Vegas. The last-minute venue change was as a result of Jon Jones being denied a license to fight in the state of Nevada by the Nevada State Athletic Commission, so the promotion moved the event to The Forum because the California State Athletic Commission granted Jones a license to compete. Current UFC heavyweight and light-heavyweight champion Daniel Cormier voluntarily relinquished his light-heavyweight championship, which now officially makes the main-event between Jones and Gustafsson for the vacant UFC light-heavyweight championship. This card also features plenty of exciting fights and notable fighters: champion vs champion bout between Cris Cyborg (c) and Amanda Nunes (c), Carlos Condit vs Michael Chiesa, who’ll be fighting at welterweight for the first time in his UFC career, Chad Mendes vs Alexander Volkanovski at featherweight, and UFC Hall of Famer BJ Penn returns to fight Ryan Hall at lightweight, the same division Penn crafted a Hall of Fame career. 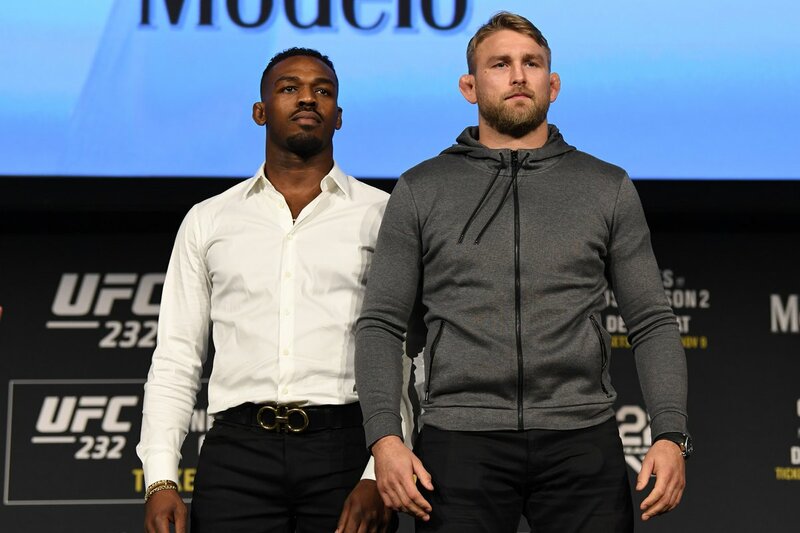 The last time these two fought was at UFC 165 in Toronto, Canada and was arguably Jones’ toughest fight in the octagon. To this day, many fans believe Gustafsson should’ve walked out of Scotiabank Arena (Air Canada Centre at the time) as the new UFC light-heavyweight champion. That wasn’t the case and for years, ‘The Mauler’ has done all he can to get a rematch in hopes of proving that he is the better fighter. Jones last fought in 2017, when he defeated Daniel Cormier by TKO to once again become the UFC light-heavyweight champion. Unfortunately, Jones was flagged by USADA for a banned substance and then stripped of the title. It’ll be interesting to see how this fight plays out because Gustafsson has been more active and has looked great in his last two-fights; he defeated Jan Blachowicz by unanimous decision and Glover Teixeira by knockout. Even with the failed drug-tests, Jones is still considered by many as arguably the greatest fighter of all-time for defeating some of the best fighters to ever compete in the sport such as: Daniel Cormier, Lyoto Machida, Rampage Jackson, Shogun Rua, and Rashad Evans. It’s hard to find any flaws in Jones’ techniques in the octagon, but I feel this could be the night that Alexander Gustafsson finally captures the UFC light-heavyweight championship and gives Jones his first real loss in MMA. 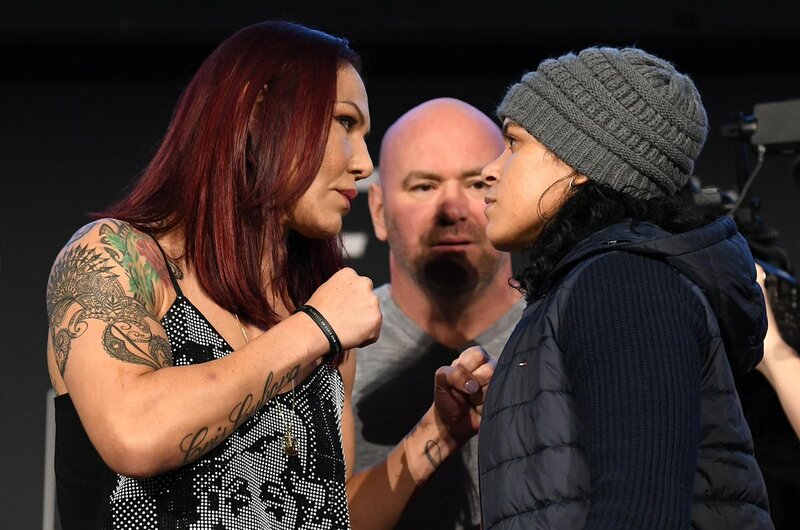 Saturday will also mark another historic moment for women’s MMA as a whole with the superfight between featherweight champion Cris Cyborg and bantamweight champion Amanda Nunes. Understandably, there have been many women who have shied away from fighting Cyborg, who has been the most dominant women’s fighter to ever compete in the sport. During her 15-year career, Cyborg has defeated a who’s-who of women including: Gina Carano, Shayna Baszler, Tonya Evinger, and Holly Holm, and will look to add bantamweight champion Amanda Nunes to that list. Nunes has had an incredible career in her right; she is currently on a 7-fight win streak that includes impressive victories over former UFC women’s bantamweight champions Miesha Tate and Ronda Rousey and defeated current UFC flyweight champion Valentina Shevchenko on two occasions. A win over Cyborg would not only make Nunes a two-division champion, but it would undoubtedly make her the greatest women’s fighter of all-time because of the champions she would have defeated and because Cyborg has been dominant for so long. Both fighters match-up well with each other and based on their fighting styles, this fight will likely be a slugfest that fans enjoy.